Seminary students in China are being forced to live under "absolute obedience" to the Communist Party and put the State ahead of God. Persecution watchdog group China Aid correspondent Guo Baosheng said in a translated report that video has emerged of students at a graduation ceremony at Zhejiang Theological Seminary singing the Chinese anthem, which Guo said is only one of the signs of the ongoing government crackdown on Christianity in the country. "It is obvious the seminary has degenerated into absolute obedience to the Communist Party's so-called Christian pastors' education base, becoming a Communist Party school dressed in the cloak of Christianity," Guo wrote. "In this way, they submit to Caesar and [operate] contrary to God. They distort the true way [to God], and [these actions] will certainly accelerate the demise of the Three-Self Church and its seminary." The seminary's president, Pastor Pan Xingwang, reportedly supports the ongoing cross demolition campaign, which has also led to hundreds of Christians arrested and sent to prison for speaking out and protesting against the government's actions. Pan has urged Christians not to oppose the government's will, and at the 2016 spring semester opening ceremony reportedly said: "Over the past year, within the Christian churches of Zhejiang, something took place that we do not want to see, and we do not want to hear. Please learn this lesson and pray for the churches, remind students to be more alert, make a clear faith, care for the churches, respect the law and be good shepherds of the new era." 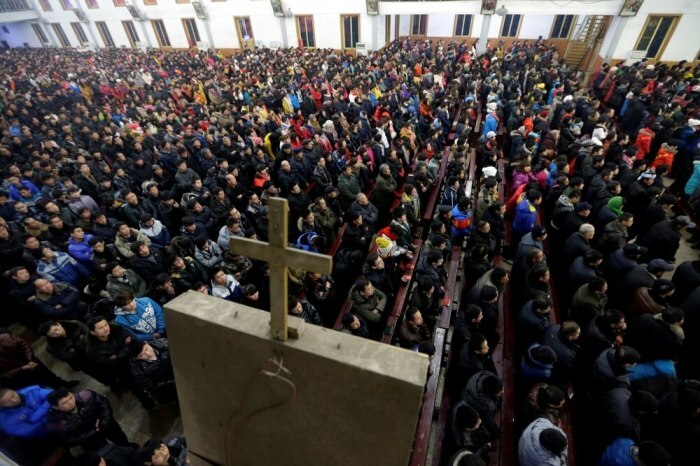 Thousands of rooftop crosses have been removed from churches in several Chinese provinces, allegedly for building code violations, though groups like China Aid say it's part of the Communist Party's efforts to stem the growth of Christianity in the world's most populous nation. 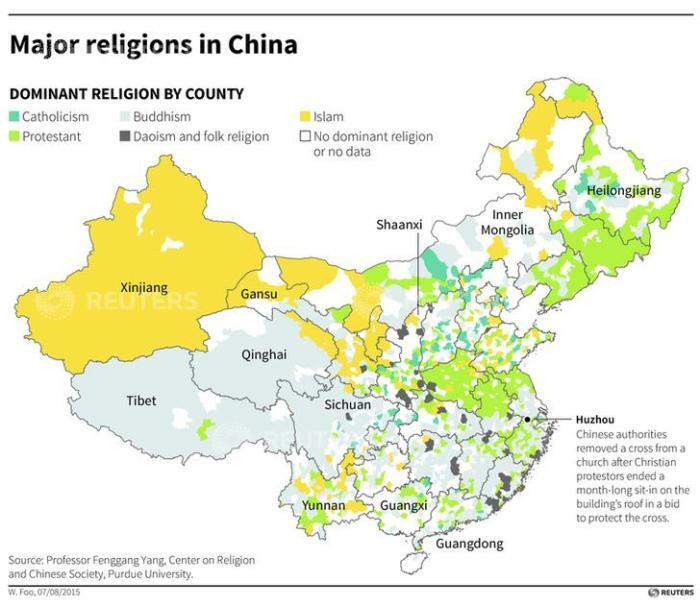 The government's assault on religious freedom has manifested in a variety of different ways, a separate China Aid report from earlier in July noted, with students attending a house church in the central Guizhou province told they would not be allowed to go to college unless they stop going to church. The house church members were asked to sign documents pledging they will not take minors to church, which is part of the Communist Party's efforts to force Christians to follow only the state-run Church. "This notice was sent to all of the schools in Huaqiu," explained Mou, the person that China Aid said was in charge of Huaqiu Church. "They (public security) intend to cleanse us and ask us to join the Three-Self Church." The Christian Post reported last week that despite the increasing persecution of Christians in China, the Communist country is on track to have the largest Christian population in the world by 2030, according to Rodney Pennington, who studies religious trends for OMF International. "We are overjoyed with what the Lord has already done in China," said Pennington, vice president for mobilization of OMF, a missions organization, in an interview with CP. "But that doesn't mean the task is finished." By 2030 "China will almost certainly have the most evangelical Christians," he said, "and that will greatly shape the global evangelical Church in the coming years. That said, Pennington emphasized that there are still many needs in China, especially in areas like discipleship, cross-cultural outreach and ministering to children and youth." "While 200 million Chinese believers by the year 2030 may seem ambitious, it certainly gives us a strong goal to pray toward," he added.